Date Added: Wednesday 27 August, 2014 by Howard B.
Indy sent multiple swatches to ensure I would be happy with outcome and when this suit arrived I was very impressed with how it fit. 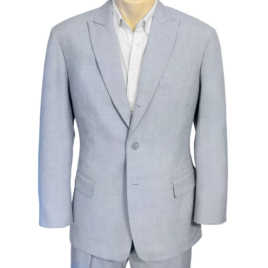 I'm really looking forward to wearing this suit on my holidays to the Bahamas soon. Howard.. Date Added: Thursday 27 March, 2014 by James W.
Date Added: Sunday 19 May, 2013 by Bastian B.